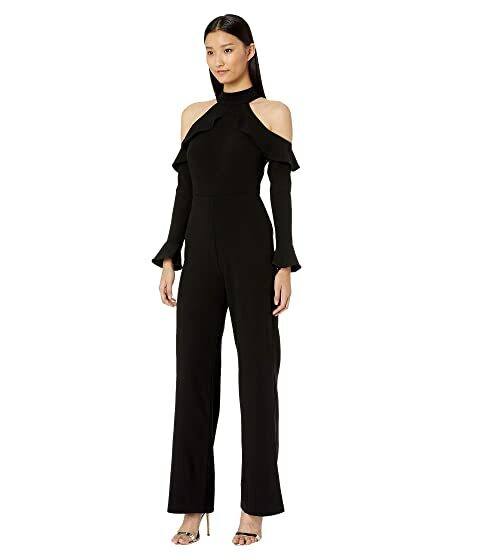 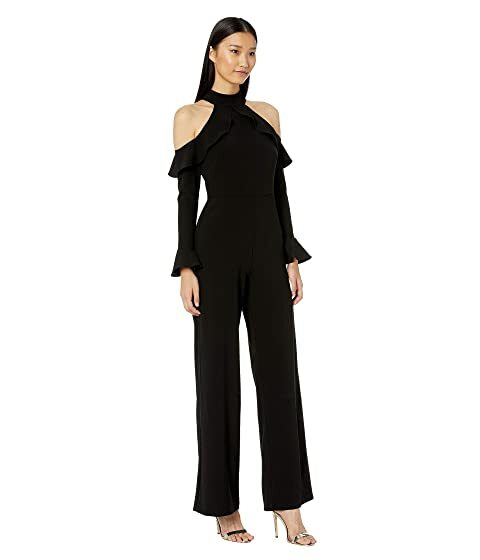 Strike a pose in the ML Monique Lhuillier™ Long Sleeve Crepe Jumpsuit. 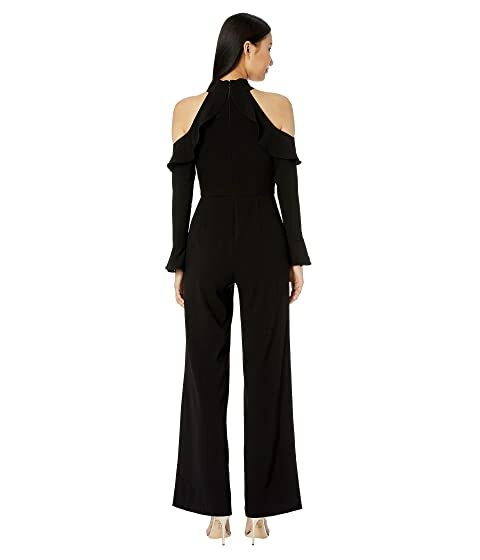 Halter neck jumpsuit in a slim fit. 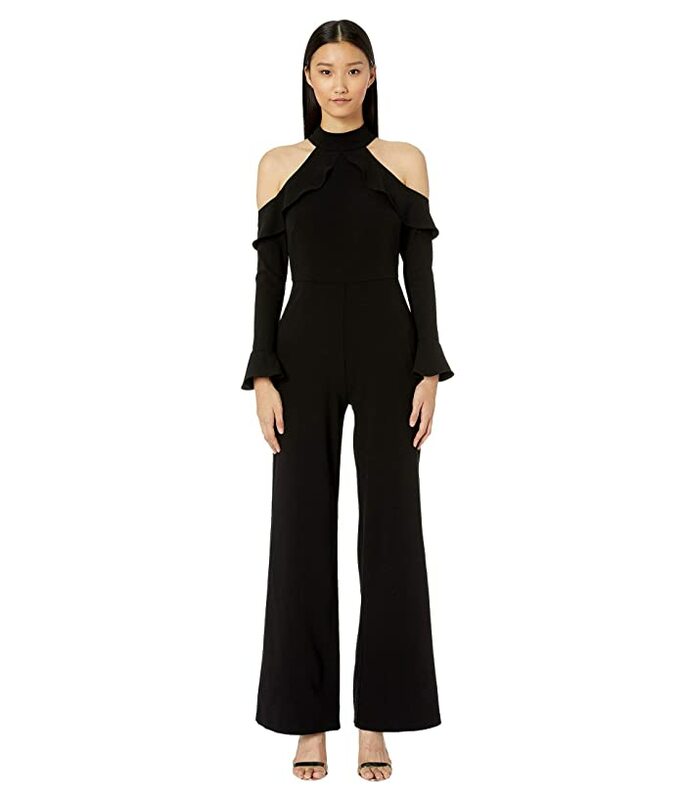 Poly-blend fabrication in a versatile solid colorway. 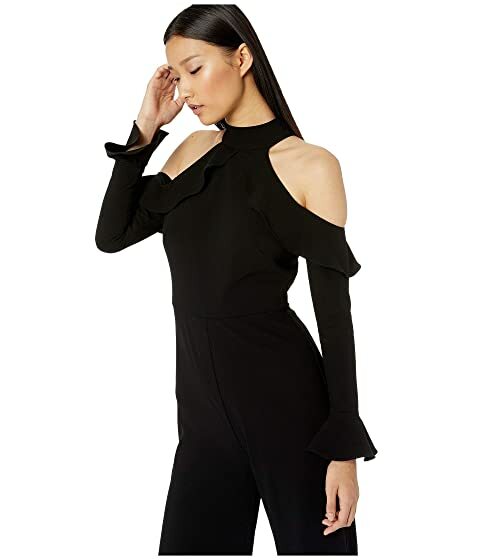 Long sleeves with cold shoulder design and flounce cuffs. Shell: 78% acetate, 22% polyester.